*NOTE* Due to low registration, all players will practice and play at Sunset courts on Tuesdays from 5-6pm, July 11th - August 15th. Summer: July 10th - August 14th (6 weeks) FAQ: Is it okay if we miss a match/practice? Answer: Yes! 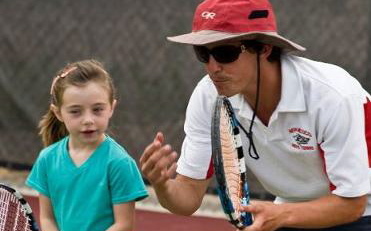 We aim to respond within 24 hours M-F.
ANTS Tennis is the "little league" of tennis for kids in San Francisco. We organize neighborhood-based tennis teams that practice and play! We are focused on learning and playing in a fun and healthy environment. Each Week your child will play against a different team! Team Practice and Match Format: Each hour session will consist of the first 30 minutes of practice, and 30 minutes of match play against an opposing team! Two Age Groups: 5-6 Year Olds and 7-8 Year Olds. Availability of Practice Locations, Days, and Times are listed and shown on our SF map below. *Team must be filled with at least 6 children to be part of the ANTS League. Recruit friends and classmates to join the same team to help ensure your spot! ANTS = everyone practices and everyone plays. Please see schedule and court assignments below before choosing your team! We aim to respond within 24hours, M-F!